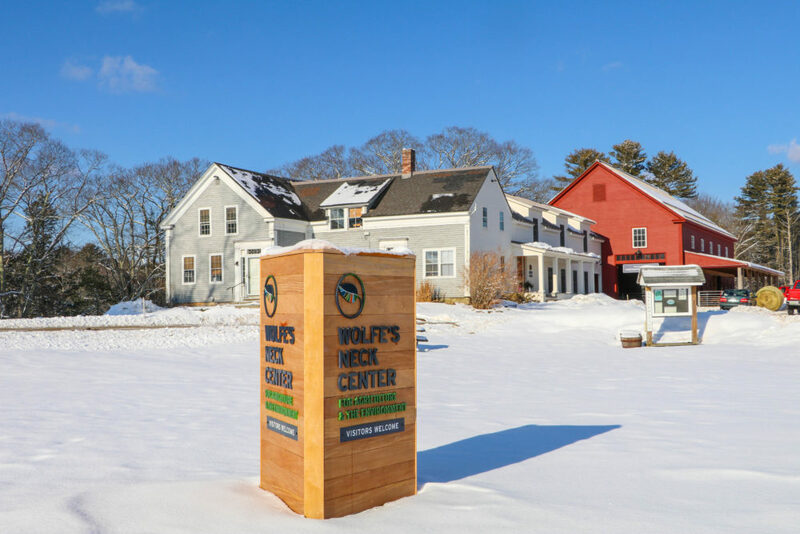 Make sure to drive onto Burnett Road via Wolfe’s Neck Road for a beautiful view overlooking Casco Bay. The ice-covered shoreline is a sight to see, so bring your camera and pull over for a good look! When you arrive at the main campus of our farm, you’ll find our Organic Dairy Barn and Wishcamper Livestock Education Barn. Park in the barnyard and take your time wandering through these open spaces. To the right is our milking herd. We milk them twice a day in our parlor behind the barn. They rest in a bedded pack of sawdust, many layers deep. Our farmers “pick” the pack several times a day to remove any manure from the surface and maintain a clean place for them to lay down. Peek outside…The milking herd is also fed several times throughout the day in the outside bunks to be sure they have enough calories to maintain their body condition and produce milk. On your left as you walk through the barn are the heifers (young female cows who have not had a calf). This small group of calves are between 3 and 6 months of age and are living together after being weaned off of milk. They too have a bedded pack to rest on and are fed several times a day to make sure they have plenty to eat to help them stay warm and grow. Take a closer look…You’ll notice these calves have shaggy looking hair which is the winter coat they grow out in response to the light change in the winter. 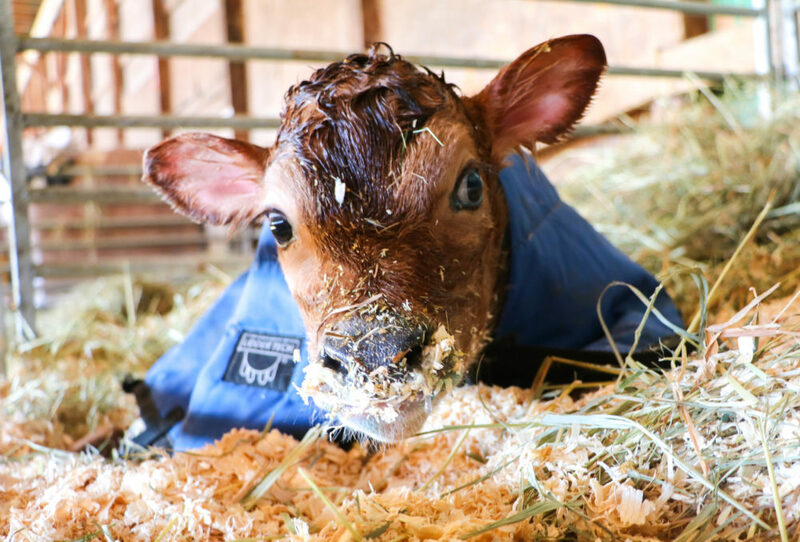 End your trip through the dairy barn by saying hello to the calves. Newborn to 2 months, these calves are in individual pens. They wear jackets when they are young and the weather is cold, which keeps them warm and helps them use their calorie intake to grow. What’s in a name? The calves are named by taking the beginning letter of their mother’s name. Our apprentices have the special job of choosing a name that best fits the calf! Cows are not the only animals on the farm. 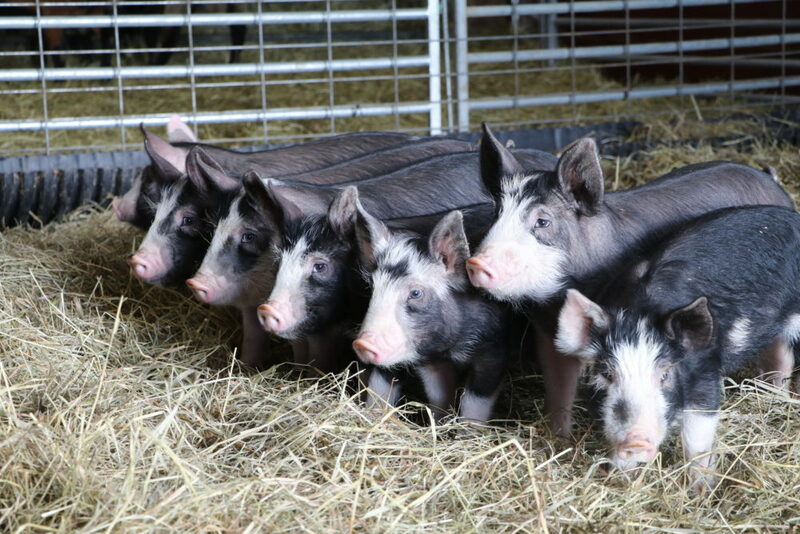 Our Wishcamper Livestock Education Barn houses our goats, sheep, piglets, and newborn lambs when they arrive! We expect anywhere from 10-25 lambs from our ewes in early February, so anticipate a growing flock with each winter visit! 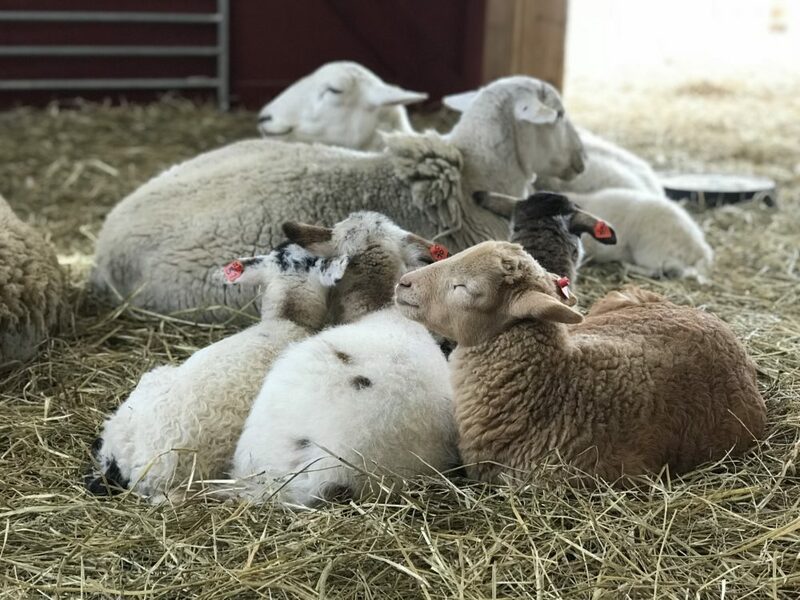 Caring for the lambs…Wondering about the layout of the barn? We separate the ewes with lambs into “jugs” for safety of the lambs. This prevents other ewes from “stealing” lambs and allows for bonding between the pair. Lunch in the livestock barn…The ewes who’ve lambed get extra oats in addition to the standard diet for our sheep. Once the lambs are a couple of weeks old, they get access to grain through a creep feeder. This is a pen specifically designed to be small enough for lambs to fit through for extra access to feed that are out of reach for the ewes. This quiet season gives visitors a chance to explore the campground on foot. Bring out your snowshoes for a peaceful walk through the campground roads, which are unplowed in the winter months for trail use. Leashed dogs are welcome, too. Come prepared! Be sure to wear layers and be conscious of the conditions. Closer to the Little River Bridge is the West Bay of our campground. Walk this loop for a beautiful view of Casco Bay through the trees. Across from the Campground Office (closed for the season), is a road through the East Bay and Middle Bay sections of our campground. Walk or snow shoe through here for a wintry wooded landscape and some water views. Look out for birds and other wildlife in the trees or tracks in the snow! On the wood line behind the Wishcamper Livestock Education Barn, you’ll find the Farm Loop Trailhead. 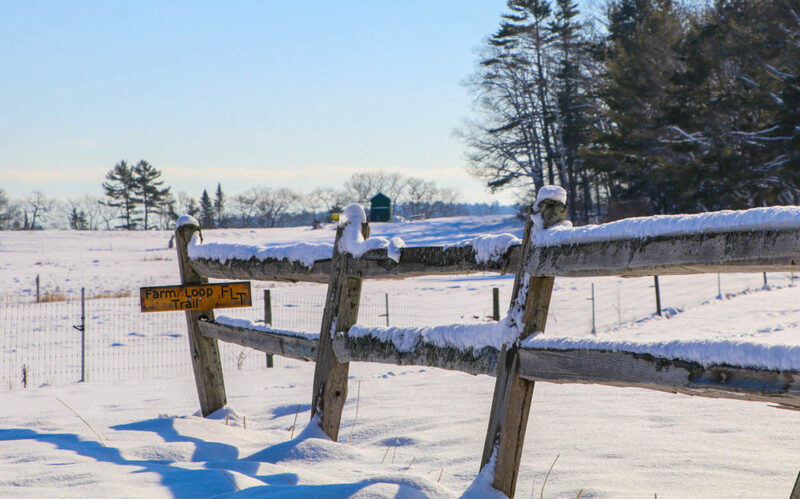 For a full winter adventure, head out in this direction for a wooded walk and views of the marsh. Whichever direction you head on your snowy walk, make observations of the wintry surroundings and be sure to visit again in the summer to see how the environment has changed! The Visitor Entrance to our farmhouse is open during daytime hours. Please feel free to come indoors to warm up or use the restroom. We have pasture-raised meats for sale in our freezer, as well as WNC merchandise and value-added products for a taste of summer. Looking to stay in touch beyond your visit? Check our online calendar for upcoming events, such as workshops, Farmer for the Morning children’s programs, and more. Support this special place by joining our community with an annual membership. You make these farm interactions and new educational programs possible! Learn more today.